Sofortüberweisung offers a fast and secure method of funding your betting account using instant online banking. Sofort is offered to customers in Germany, Austria, Poland, the UK, Poland, Spain and Belgium. Not all sportsbooks accept Sofort from all these countries. This acceptance is noted by the sportsbook below. Sofort deposits are quick and online betting companies do not apply charges for using this method. The name registered on your bank account must match the name registered on your betting account. Withdrawing: If you have deposited by Sofort Banking, withdrawals are generally processed by Bank Wire. 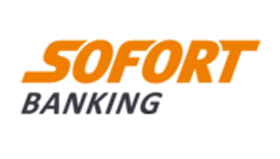 All about Sofort Banking as a sportsbook payment method and the top football betting sites that accept Sofort Banking.